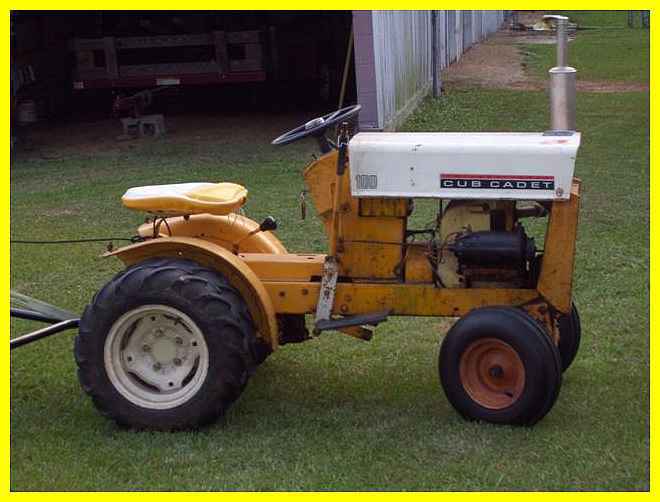 Check out allen's cool cub cadet 100.This is the model of cub i've always wanted.Just love the round fender cubs with the headlights,check out the duals on the back!.Remember to click on the pics for a better view. 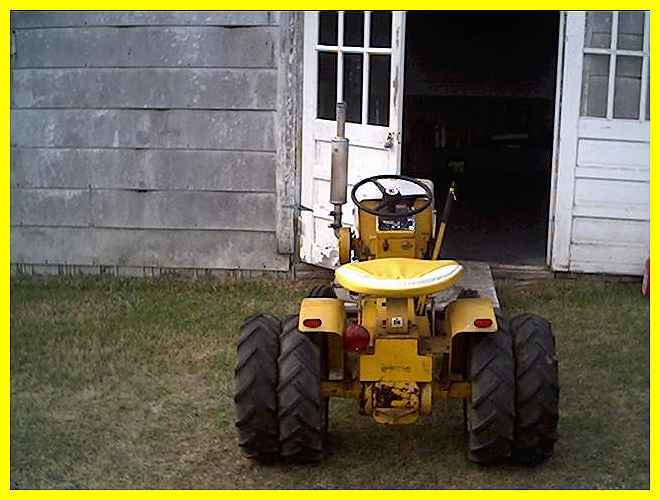 Here's what allen had to say about his tractor. "I've had the 100 for three years. I've been around Cub Cadets for over five years, but I've been around International Harvester equipment all my life. My Grandpa farmed with IH equipment. 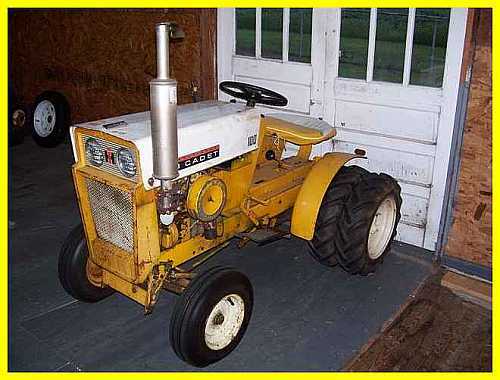 I had a Farmall Cub at one time as well. I really enjoy my 100, it's a tank. I use it for all sorts of chores around the yard. I really like having the stack, and dual ag tires, along with the front tri ribs. Here's some pics, for your site. By the way, you have a nice site! " 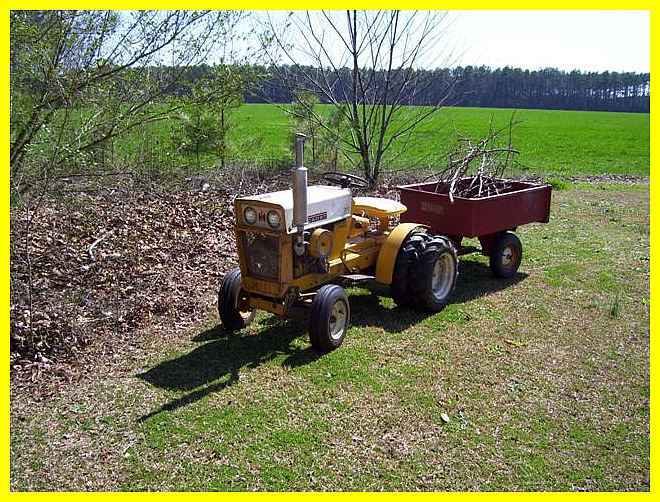 Thanks allen for the compliment on my site,I love putting peoples tractors on here and really like the stories they add.